Maria do Carmo Raposo de Medeiros was born in São Miguel, Açores. She obtained a Ph.D. and M.Sc. both in electronic engineering, from the University of Wales, U.K and B.Sc. in electronics and telecommunications engineering from the Universidade de Aveiro, Portugal. 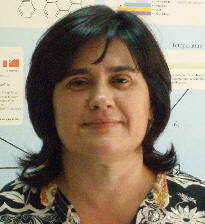 Presently she is a Professora Associada, in the Faculdade de Ciências e Tecnologia, Departamento de Engenharia Electrotécnica e Computadores at the Universidade de Coimbra, Portugal. Previously she was a researcher at the University of Wales, U.K. and professora auxiliar at the Universidade do Algarve. Her research interests include modeling and optimization of optical system/networks and radio over fiber techniques for access network. Recently, she is also interested in nano-electronics specifically the interaction of electronic devices and living cells.